I like to gush over my students when they do awesome stuff, and this was no exception. I love it when my classroom is abuzz with sense-making conversations. I feel like this activity helped students become more comfortable with the structure of rational functions and how that equation structure is reflected in the graphs. Thanks, Dylan, for inspiring some awesome thinking in my class today. This statement from one of my college algebra students made me both elated and sad at the same time. 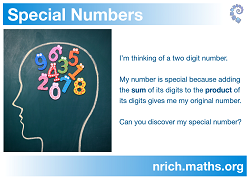 Thrilled because this is the type of mathematics I believe all students should have the chance to engage in on a regular basis. 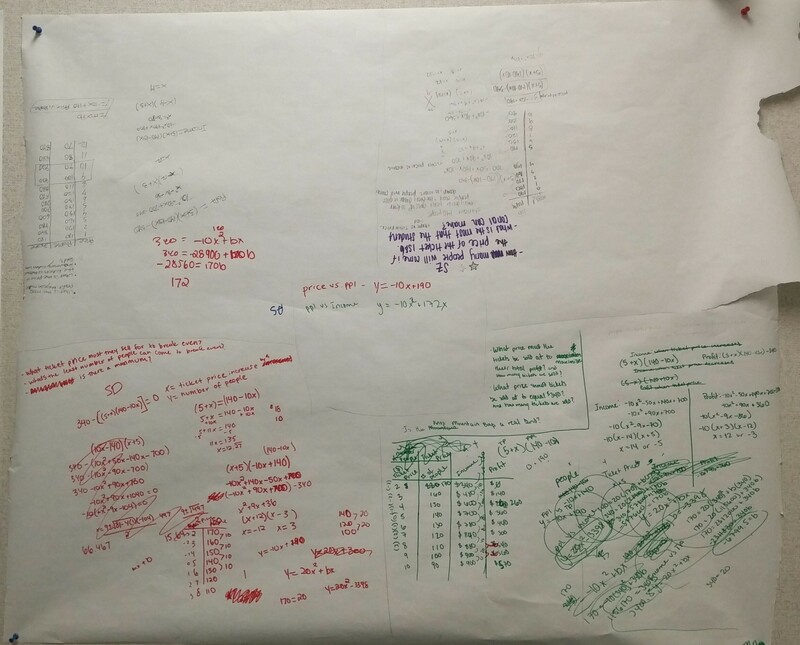 Disappointed because this type of discovery happens so infrequently in American mathematics classrooms that the incident warranted a sacred place on the wall of this teacher’s room. In College Algebra, part of today’s learning objective was to define a polynomial function and determine some key features. 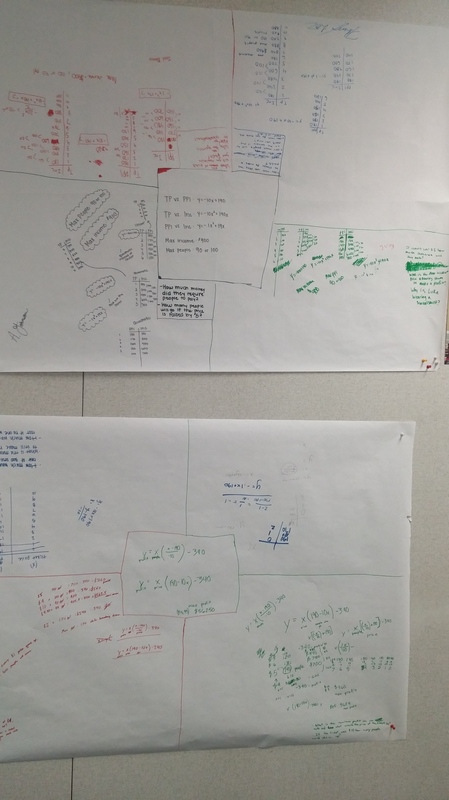 I have the awesome types of students that if I were to write down the surly definition and features of a polynomial function onto the whiteboard, each would follow in lock-step and write it in their notebooks solidifying it’s place among mathematical obscurity. Today, we were going to break that cycle with something different. But I needed to know where they were at, so I had them write down what they knew about a polynomial function. After some discussion and leading questions, we were sure that linear, quadratic, cubic, quartic, x^5, x^6, and so on were all polynomial functions. Awesome. We weren’t, however, as sure about functions including negative exponents, roots, sin/cos, or algebraic fractions. What makes this group we are sure about special? Last week, we spent a considerable amount of time on features of functions including domains, end behavior, intercepts, intervals, symmetry, and turning points. In their groups, I had them examine the graphs of these alleged “polynomials” through the lens of the features of functions. Questions: Was this true of all polynomial functions? And if both conditions were not met, could we exclude it from our known polynomial functions? Hiding my initial excitement, I then had them look at our list of “questionable” functions. For example, did “y = 9 + 1/x” meet each of these two criteria? Alas, the excitement of naming the theorem will have to wait until tomorrow. 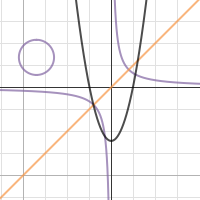 It occurred to be relatively early in during the trimester this past fall that my college algebra students (generally) have no idea what I mean when I say “quadratic function.” This isn’t because they have never heard it, learned it, or used it. But that technical of a term simply has not stuck around in their long term memory. 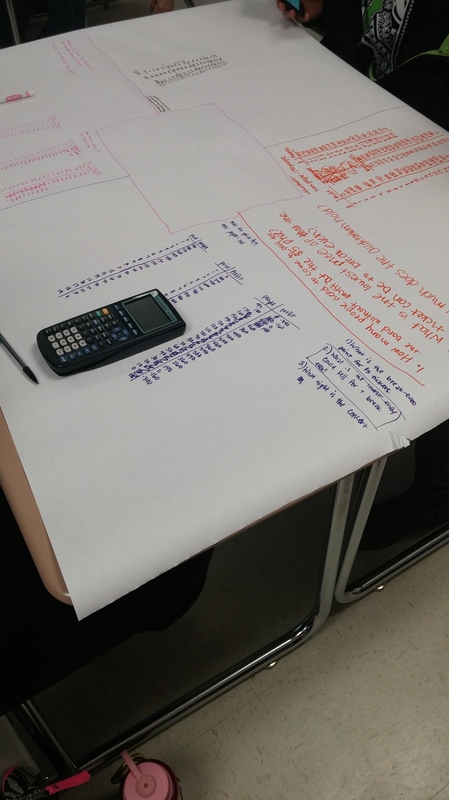 I then had them make posters including how it is growing, what the 10th, 100th, 0th, and -1st cases would look like, table, graph, expression, and relationship to the pattern. Instead of one large poster, they use 4 smaller pieces of paper and tape them together. That way each group member can contribute simultaneously. It is difficult for students to describe how an irregular shape is growing. It is even more difficult for them to describe something abstract like the -1 case. If they could connect the work with patterns to other quadratics. How to have a meaningful discussion around the “exponential growth” issue. So where do we go from here, two days before Winter Break? 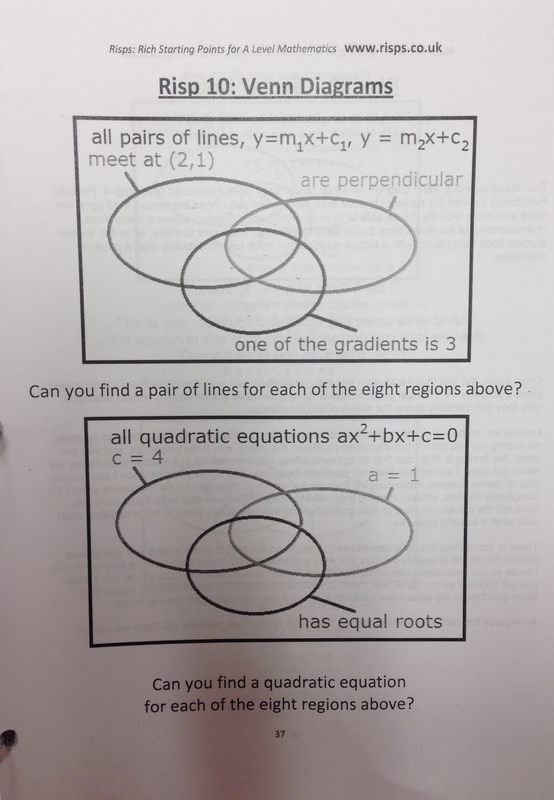 My goals are to review some specifics on quadratic functions and simultaneously help the students make connections between different representations. I know what I must do. I must channel my inner Triangleman. Ok, back to room C118. 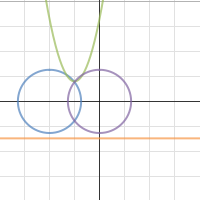 Me: What other ways can we represent this function? Students: Tables! Graphs! Pictures! Words! Patterns! Licorice! Me: Sweet! Let’s do all of that, minus the Licorice. Me: NOW, write down everything you know about this function. I circulate and hand each group a half sheet of paper. Me: Write down the most important thing on your groups list. 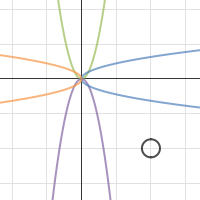 We came up with a pleasing list of attributes of a positive parabola that included vertex placement, end behavior, leading coefficients, and rate of change. Next up for discussion: Parabolas grow exponentially. Me: Turn to your partner and tell them whether you agree or disagree with this statement and defend your choice. Students: Yes, words, words, words. Me: Ok, now the other partner, say how you know something grows exponentially. Students: Multiplied every time, more words, blah blah blah. So we agreed that 2, 4, 8, 16, 32, 64… is an example of something that grows exponentially. Me: Numerically, how can we tell how something is growing? Students: (eventually) Rate of Change! We came up with this table and agreed that these two functions were definitely NOT growing in a similar way. I have made no secret of my unwavering devotion to Nrich. 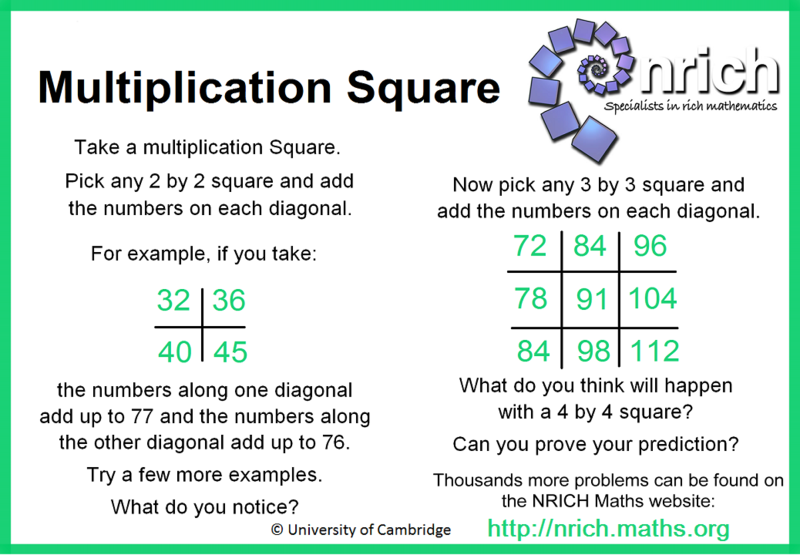 This University of Cambridge-based website is a treasure trove of rich tasks. The best part about this website is the ability to engage students with abstract algebra concepts. Very infrequently does Nrich apply their problems to any real-world concept. They let the arithmetic itself set the hook. And the algebra solidifies the concept. As a bonus, now that school is underway, they have many “live” problems which are open for class submission. I’m hoping that my class might want to submit solutions for the Puzzling Place Value problem. There are a lot of great problems here that I’ve used in my classes. The only problem with available new problems is now I want to devote all my time to solving and implementing them! Math is Messy. So Are Gender Roles. I have been absolutely humbled by all of the positive feedback I have received from my previous post. Thank you to infinity for taking the time to read, write, and share. I believe that it is our common humanity that makes it possible for us to learn from one another, not necessarily our knowledge of content. There is so much of my sobriety that goes into my teaching. It is an incredibly freeing feeling to be able to be honest about that part of my life as I blog. The Student Council at Rahkenrole High School is planning a concert. They’ve hired the Knox Mountain Boys, a popular local band, for $340. A poll among the students has shown that if tickets cost $5, 140 people will come to the concert. For every dollar the ticket price goes up, 10 fewer people will come, and for every dollar it goes down, 10 more people will come. I’ve been a huge fan of the Math Forum, long before I joined Twitter (and got to fangirl Max Ray at TMC14). The reasons might not seem obvious from this scenario, but kids noticed right away that there was no question asked at the end. What’s brilliant here is that there is literally an infinite number of questions that we could ask here. Granted, some questions are more important than others, but I framed the task in a way that elicited what I needed. I handed out a big white piece of paper to each group of 4 and had them divide the paper up into sections. This way each person in the group was both the recorder and the problem solver. I asked them to write down 2 questions they think that I would ask about the scenario and one question (anything) that they would ask. They identified their group’s most important question and put it up on the whiteboards on the wall. Low and Behold! They READ MY MIND! They asked about maximizing profit, income, and people, and also requested modeling equations for each. The excellence in this scenario (and the Math Forum in general) is that it can be applied to so many levels of math for so many reasons. For example, most high school kids can make a table and figure out a reasonable answer for the maximization questions, and kids with more know-how can develop mathematical models. They knew they needed ONE set of answers in the center of their paper. This meant they had to communicate the work in their section. The traditional group roles dissipated, and they all had equal stake in solving the problem. They were messy. And I loved it. In fact, I made the second class use markers exclusively so that they could not erase. How many of you went nuts over the Google Doodle for John Venn’s 180th Birthday? I have no shame in admitting I spent more than a few minutes messing around with it. 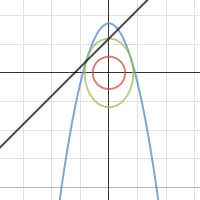 Can you find three graphs that all intersect and also each intersect one another at unique points? Also, is there a 4th graph that does not intersect the first three? 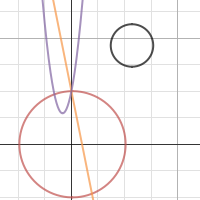 A few of them assumed we were creating an actual Venn Diagram with Desmos. I made sure the expectation was more clear the next period. Attention to precision was important. 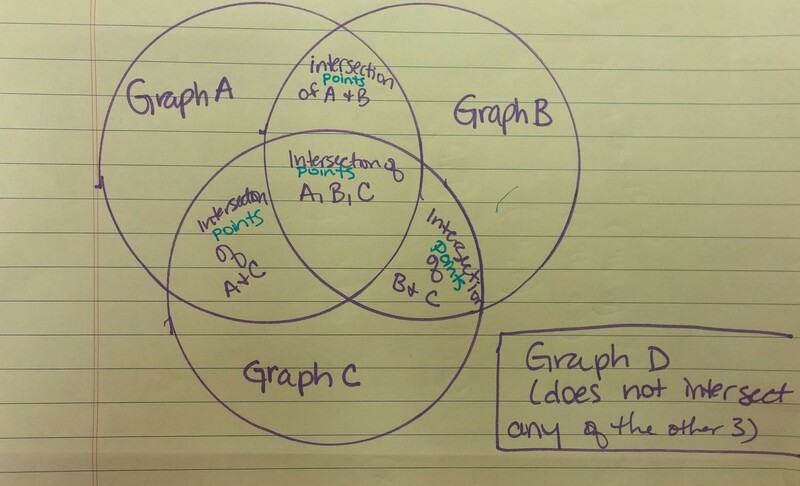 Some students assumed that if the three graphs appeared to cross one another, their task was complete. They were mistaken when I zoomed in to examine the intersection points. Students assumed that if a graph did not intersect another in their viewing window, it didn’t intersect at all. We had some good conversation about where graphs might cross as the x and y approached infinity. 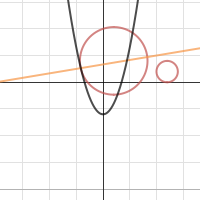 Using sliders in Desmos makes this task more doable in one class period. I wonder if they would be able to solve for their intersection points algebraically. 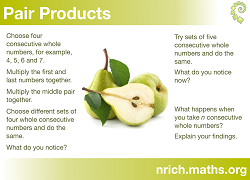 Side note: these RISPs (Rich Starting Points created by Jonny Griffiths) are all available on this website, and are excellent starters for college level mathematics. Additionally, we’ve used other Nrich problems such as Odds, Evens, and More Evens. And to add some non-dairy whipped topping to this algebra awesomeness, my students are breezing through visual patterns and having some great conversations about them. Credit here is due to their fabulous algebra 2 teachers who began visual patterns with them last year and let them struggle with them. The result has been deeper connections and a more thorough understanding.